Jermaine Wattimena plays since 2009 in PDC tournaments but is mainly to be found on the BDO/WDF circuit. 2008 he celebrated his first tournament win - the Malta Open. 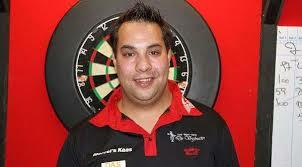 In 2009 he for the first time took part in the Winmau World Masters and reached the last 24. 2014 Wattimena won the German Gold Cup, again took part in the Winmau World Masters and reached quarter-finals of the international play-offs for the BDO World Championship before he won the Central European Qualifier for the PDC World Championship and by this a place in the Preliminary Round of the PDC World Championship 2015.